Remove skin and set them aside. Soak a pinch of saffron in a few tablespoons of warm milk for at least an hour for flavors to steep. Add the almonds, cooled carrots, saffron milk, date syrup & rest of the milk and blend everything in a grinder (since I like slightly coarse texture of the mix) or in a blender (if you prefer smooth consistency). 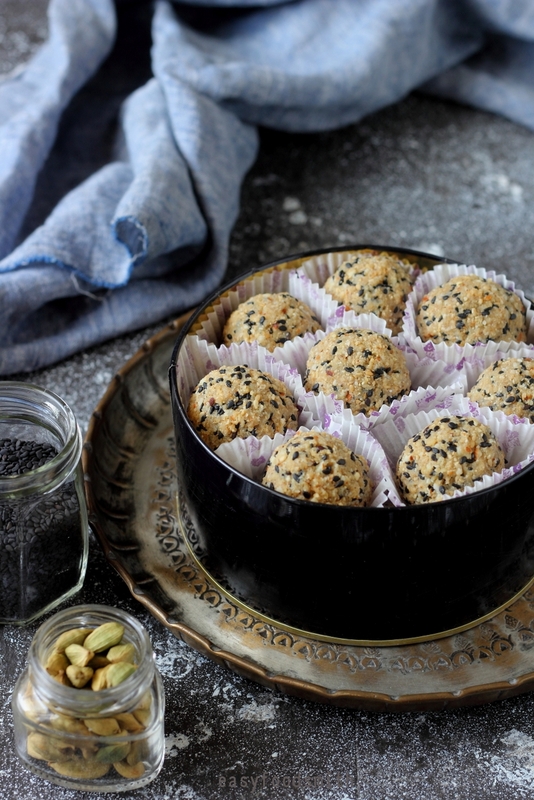 Remove the contents in a bowl and serve the kheer chilled or at room temperature. Garnish with nuts. 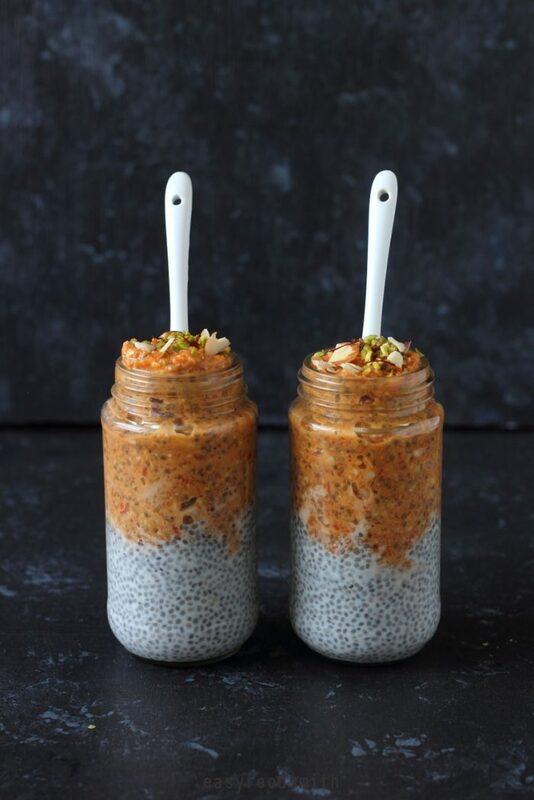 However, in case you want to enjoy it with chia seeds, remove the contents in a bowl and stir in the chia seeds. Stir them again after 10 minutes. Stir again and cover and keep the bowl in the fridge, overnight or at least for 3 – 4 hours. Stir the contents of the pudding again and spoon the pudding in bowls or glasses and add toppings of your choice. Thanks for your visit and see you soon again with another exciting recipe. 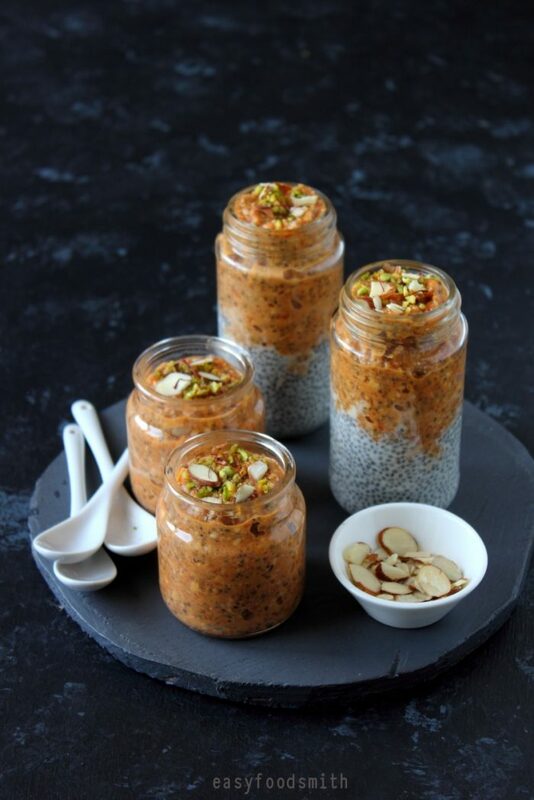 I always love chia pudding, but never thought of combining it with carrot. A fantastic idea that I can’t wait to give it a try too. 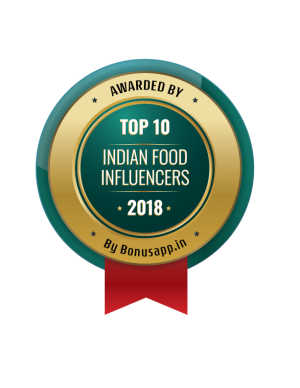 I have never had carrot kheer but loving it here like this with chia pudding. Happy New Year! 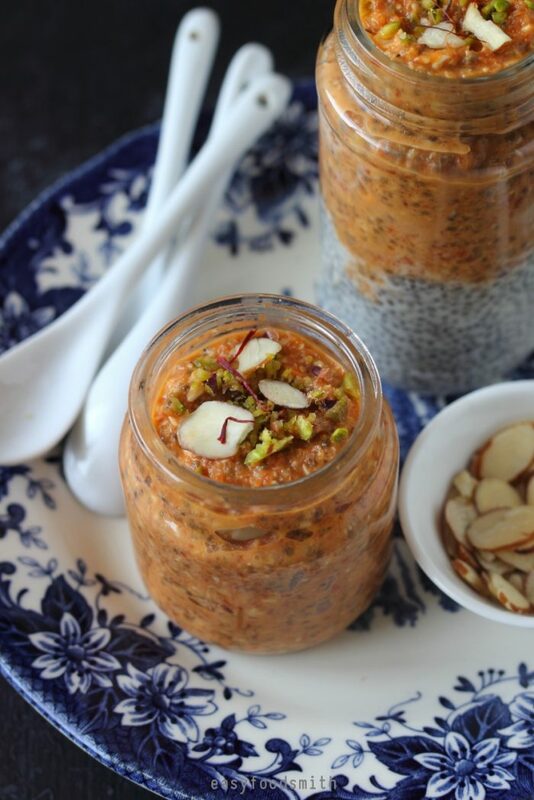 I love both chia pudding and carrot kheer. So this dish is absolutely stunning! Superb recipe and amazing photographs! Thank you..
Looks delicious and beautiful presentation! Happy 2018! Love the way you’re starting out the year. What a beautiful dish and healthy too. Just what I need right now after the holidays.